The was 1979, I attend my first course of photography at photographic meetings of Arles; Reporting with Jean Mohr, the following summer, I renew this fantastic experience with 3 new courses, the Portrait as dialogue with Georges Tourdjman, hex color with Jay Mazel, the eye in the feminine with Kate Carter and the photographic book with Katherine Tweedie. 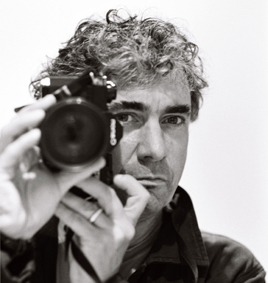 During the year 1980, I collaborate with a created by Christian Poveda, News Agency Agency Workshop until it closed a few months later, and then I open in April 1981 my photography studio in the region of Besançon. In 1983, I met Serge Gal, which form me to the zone-system in black & white and cibachrome print techniques, and thanks to him I realize really all technical possibilities in photography. In summer 1986, new stage in Arles with Yann Morvan on the theme of Photojournalism. The same year, I attend training at Denis Brihat in Blair, on the techniques of prints and turns advanced black &blanc; is an unforgettable experience to the immense talent of this artist of photography. In early 1992, I am represented by the Agency Ernoult Features, then this contract is extended from Image Bank in 1996. Since 1999, I am released by the SIPA PRESS Agency in Paris. In 2012, after 33 years, return to Arles, and following a course VAE, I get the master of the school ENSP, national supérieure of photography at Arles. From my earliest days in photography, I am sensitive to the approach to the topic that took American photographers during the economic crisis of the 1920s. Leaving the very this Pictorialist influence of the time, the photographer out of his studio and watch social reality; the emotional is very readable in these photographs showing a commitment to social and political writers. American photographers are very present in my research and by studying in particular the work of the photographer and teacher Aaron Siskind, I find my photographic obsessions; architectures, traces, fragments, body, air movements, it becomes my reference. My photographic writing feeds my near daily and intimate, the otherness is the engine. The strange strangeness, on the other, of places and objects with no apparent value, touches me deeply. The use of black and white is imposed, it focused life that switches so often without shades of a dark black to a blinding white and I then use it in the subtlety of the range of the grey to qualify my photographic point. It gives it a subtle radicalism, not conviction without compromise. I participate in this world by my vision given with regard to the other and I love to quote Albert Camus in his summer book, “this world is beautiful and it is the one who is given to us”. I bind to myself particularly to the insignificant things, to the “entre-lieux” to the fragments of urban landscapes or rural, the bodies in the city or in a room, they form these traces of our lives that pass, turn and then disappear. Walter Benjamin put this question of the trace, of the fragment and the importance of what survives at the time of the great history and those who make history. The winners seem to prevail, for my part and in its own way, I think not. As in the history of art, the detail becomes the focal point, where there is disorder and need to know then watch it to see the invisible. This philosophical thought becomes me photographic and told my report the existence, at the other, it installs me in this existential questioning, then I can develop my singularity in a use rational medium, freed from the trends of the moment or a pseudo-modernity but in agreement with the thoughts that I like. My photographic expression comes in the form of series and collections, as a story that traces my Visual wanderings, and behind the apparent tranquility of my images, the world is there, offered under the other, a fullness and living together. 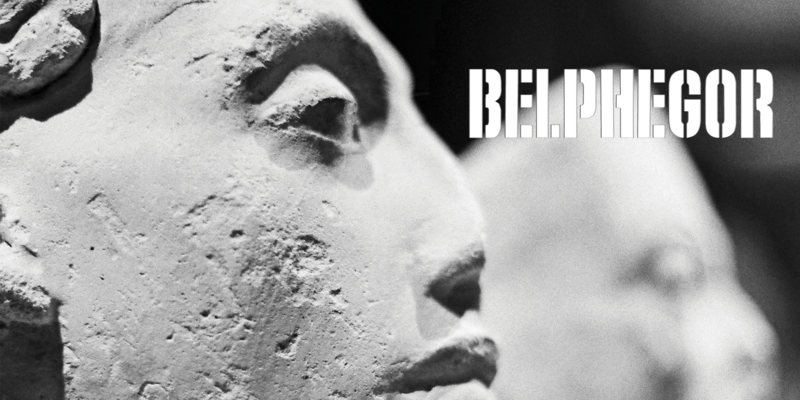 Belphegor, exhibition in Arles from December 1rst 2018 to February 16th 2019. 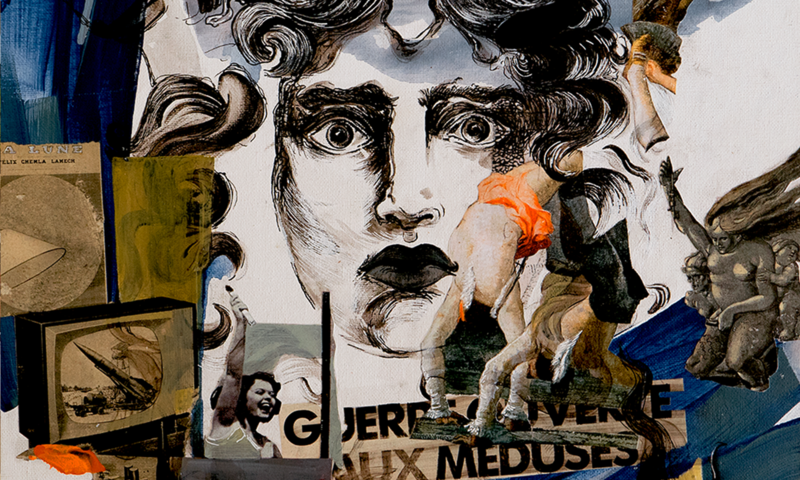 For more elements, see Gilles Magnin’s website. 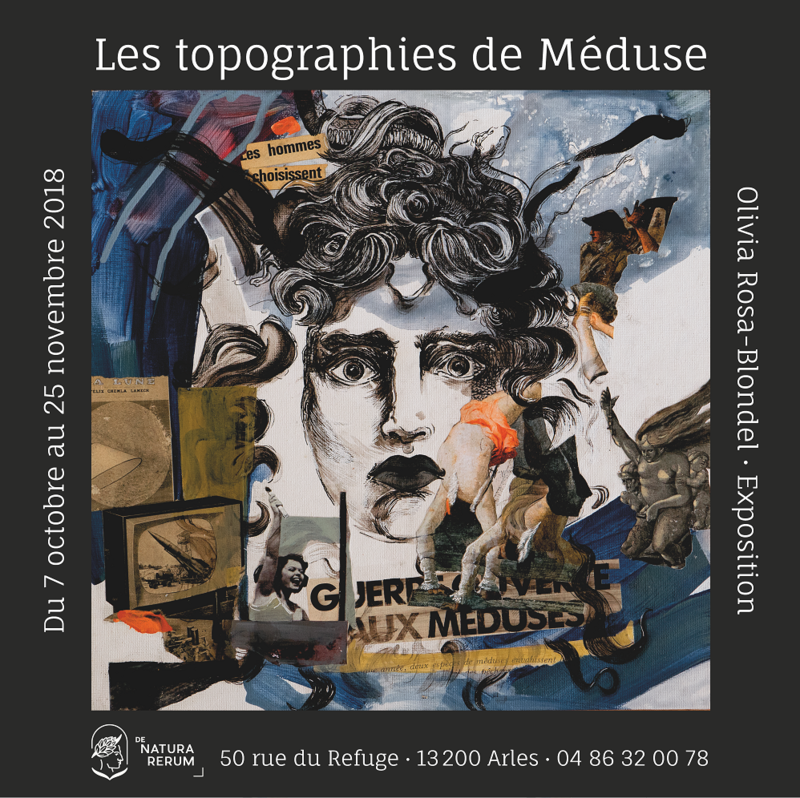 Exhibition of paintings/collage by Olivia Rosa-Blondel, in Arles, from October 7th to November 25th 2018.
and harden at its touch, acquiring a new rigidity in branches and fronds. 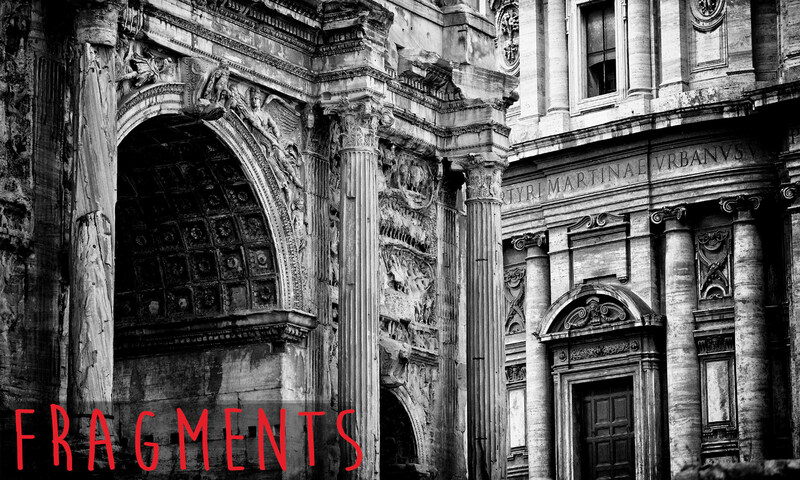 The gallery De Natura rerum settles in a place filled with history and humanity, with stones from the Augustan rampart and the medieval arches that punctuate it. In keeping with this setting, the gallery will put on photographic exhibitions, as well as paintings, drawings, collages and sculptures that change the optic through which we view Antiquity and history, to show its abundant polysemy and worrying resonances, mysterious or sensual. 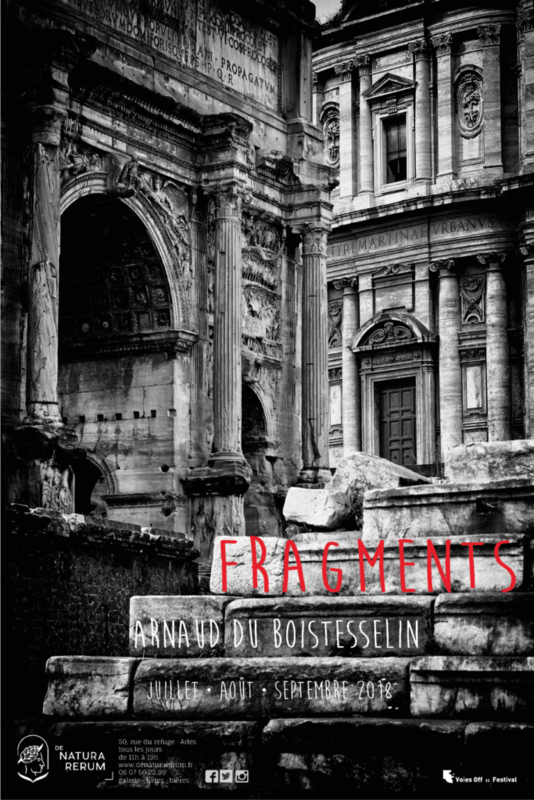 Arnaud du Boistesselin has undertaken journeys (and dreams of setting off again), has lived in a land of sand and stone on the other side of the Mediterranean. His return is paradoxically an exile. Arnaud du Boistesselin, through his Fragments, asks himself, with the artist Jiri Kolar, if this collapse that is the nostos, is not in essence a new departure. The galery will be open 7 days a week, from 11:00 to 19:00. 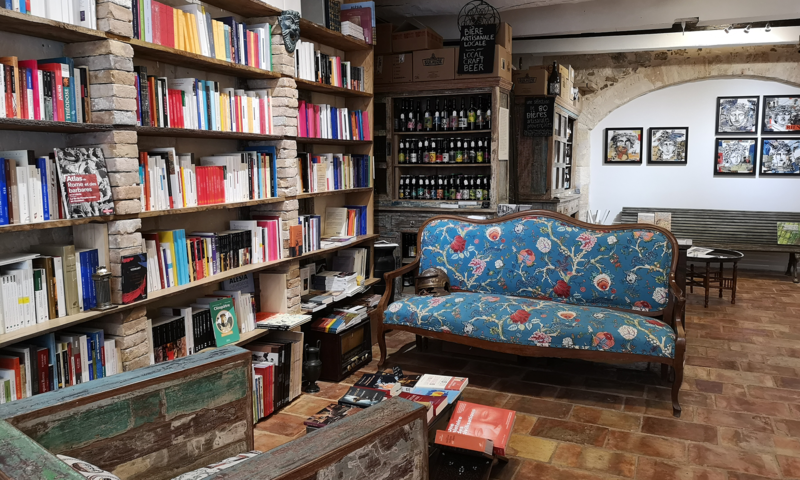 It is located 50 rue du refuge, 50 meters from the Roman arena’s main entrance.